This week’s article is about another legend in the trance-community. He’s been active since 1994 and have some 15 aliases that many people recognice. I´m talking about Matt Darey. Earth radiates her brilliant beauty, into the caverns of space and time. The clouds billow to form the majestic peaks. Create a symphony on symphony. Through the form of strength and blood. Those who own our planet, are learning about love. called Lost Tribe – Musika (Bivouac Mix). 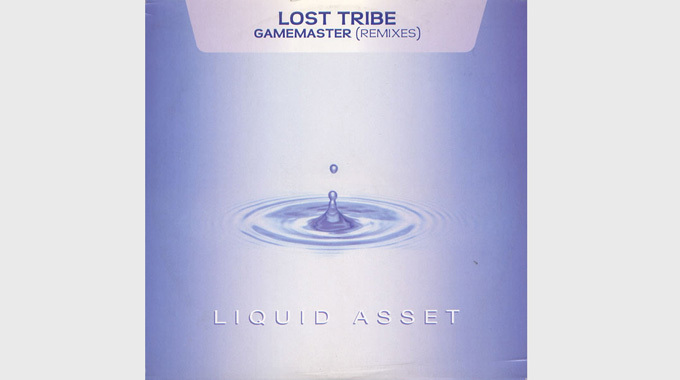 But it was with their second Lost Tribe-release, The Distant Voices EP which featured the tracks Gamemaster and Angel (with singer Mala Moonbeam) that their big success came. The EP, released on Red Jerry’s legendary label, Hooj Choons became an instant success, most of all for the track Gamemaster which later came out as an own release with remixes by Signum, Lost Tribe, Michael Woods and Matt Darey just to name a few. The vocals heard on Gamemaster was pieced together from an arrangement from ”Earth: Pleiadian Keys to the Living Library” by Barbara Marciniak. The track uses a sample from the track Quench – Dreams from 1993. Gamemaster peaked at no 24 in the UK Chart. The Lost Tribe-moniker was now put on a shelf as Matt Darey started producing under his own name. Matt’s first solo hit, Matt Darey presents Mash Up – Liberation (with singer Marcella Woods) came out in 1999 and was another success and came with remixes by Ferry Corsten, Solarstone and Matt Darey. The track peaked at no 19 in the UK Chart. Second single, Matt Darey presents DSP – From Russia With Love was a really pumping track with angelic vocals. I really love that guitarsound in it. The track peaked at no 40 in the UK Chart. The 2002 single, Beautiful (with singer Marcella Woods) was another success, It was actually one of the first tracks I heard from Matt Darey and I still listen to it quite often. The track was a big chartsuccess and peaked at no 10 in the UK Chart. The followup to Beautiful, Matt Darey & Marcella Woods – U Shine On also did fairly well in the charts and peaked at no 34 in the UK Chart. The track is pretty good, in some ways even better than the more popular Beautiful as it’s better produced. The track Moody was also featured on U Shine On but later released as an own single with a new remix of U Shine On. Voice Of An Angel EP came out in 2004 and featured 3 versions of Voice Of An Angel (with singer Marcella Woods), Nocturnal Delight and Electro Buzz, the latter was released on a onesided promo the year before. Voice Of An Angel EP featured a remix by Michael Woods, the brother of Marcella Woods. Matt Darey set up his own label in 2004, Darey Products LTD where he re-released a few of his older releases and also features other artists like Adam White & Headstrong. His first new release on the label, Lost Tribe – Posessed was an own production without Red Jerry. He also released Incentive Maxi CD which essentially was a mini-album with a few of his older releases from Incentive Records where he used to release his singles. The 2005-single, Eternity (with singer Izzy) features operasinging and it works really well with the track. 2005 also saw the start of his radioshow, Nocturnal which in April 2006 became a weekly show. His radioshow occasionally features guestmixes and Matt even does his own guestmixes for other radioshows/podcasts every now and then. He even did one exclusively for Bejbi.se in 2011. Listen to it HERE. Point Zero EP, only released in the US in 2006 contained most of his legendary tracks including the Li Kwan-track with the same title. The EP did well and Matt eventually moved to Miami for a while. Gamemaster was re-released in 2006 with new mixes from Mark Sherry. The Sum Of All Fears (with singer Tiff Lacey) is abit slower than previous tracks. After 2008, Matt started to work on his Urban Astronauts-moniker which specializes in Rocktronica, a new genre which features rock inflences with the latest electronic music. The first release, Urban Astronauts EP 1 contains the tracks Animal, No Submission and This Way. There was also an EP2 released with remixes, moslty of the track Animal. In 2009, Matt set up another label, Nocturnal Global. The second release, See The Sun (with singer Kate Louise Smith) was a big success, especially the Aurosonic Remix which IMHO is one of the best tracks of the whole 21st century. The last single from Urban Astronauts, Black Flowers (with singer Kirsty Thirsk), came out in 2010. It also features an Aurosonic Remix, but not as good as See The Sun. From now on, Matt started producing under his own name again. The 2010-track, Matt Darey & Aeron Aether featuring Ridgewalkers – Chasing The Sun is more house-influented than previous. Lost At Sea (with singer Ashley Tomberlin) is another house-oriented track. I really love the breakdown, so atmosperic and love the guitar that they used. Black Canyon and I still Remember (with singer Kate Louse Smith) are 2 pretty sweet track, both pretty commercial but still good housetracks. Since 2012, Matt was signed to S107 Recordings, a sublabel to Armada Music. The 2012 track Hold On is an instrumental track, more to the progressive side of house with influences of the recent swedish wave of housemusic. It even has some orchestral sound in it. The 2 vocal tracks of 2012, Matt Darey & Stan Kolev feat Aelyn – Follow You and Matt Darey feat Leah – Hold Your Breath are both pretty housy but still got that special feeling. Matt just released his first artist album, Blossom & Decay which features 17 tracks from the last 5 years. You can listen to a guide to the album here with comments by Matt Darey HERE. Matt Darey has always been synonymous with Trancemusic but as most older artists, he has started to focus on the more commercial sound, like the tracks that you hear on the radio daily. I don’t blame him as more people will hear his stuff and hopefully start listening to his whole discography and find some true gems. Hopefully, Matt will be on tour this year to support his album so I guess i’ll have the opportunity to see him perform this year. Atleast, I hope so. For he’s worth seeing/hearing. One Response to " Classic FTW: Lost Tribe – Gamemaster "
Intressant läsning. Bra jobbat. Beautiful ligger mig fortfarande varmt om hjärtat, och kommer nog alltid göra. Men vänta nu, har Matt Darey även varit med och skapat Gamemaster?